Are you ready to go to the Mountain? Participant registration for Mt TOP’s Youth Summer Ministry program for the summer of 2014 is here. 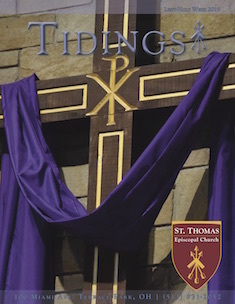 St Thomas has preregistered for week 3( June 21-28) and week 7(July 19-26) next summer. These weeks offer both Day Camp and Service Project options. The participant registration fee is $375 split over 4 payments. The first payment of $50 is due December 1. If you are interested in going to Mt TOP next summer please complete the attached registration form selecting your preferred week(s) and service option and send it and a $50 check made out to St Thomas Episcopal Church to me by November 27. If you have a friend who would like to go to Mt TOP feel free to forward this information. If you have any questions please contact me via email at jctiffany@gmail.com or call me, 513.646.9655.